Can Brussel Sprouts be tasty? I’m a convert! I have always had a hate-hate relationship with Brussel Sprouts. I kept the opinion, that not only did they smell like smelly socks, but they tasted awful. But something changed, this year, in my journey on LCHF food. b. Experimentation is the spice of life. c. Never believed I would not long for carbohydrates, especially the refined ones, so all my frames of reference & opinions on new or old foods, needed to be rechecked. d. My taste buds have changed and everything tastes just “more”, “more” intense, just “more”. And lo’ and behold, I have developed a liking, not yet loving for brussel sprouts. But key is the way they are prepared. 1) Rubbing them in macadamia nut oil & herb salt, then roasting them in the oven at 180 degrees for approximately 30minutes until nicely brown & crisp. The nut oil gives them amazing flavour! 2) Frying bacon & cutting the bacon up. And using the bacon oil to either fry the brussel sprouts in them OR rubbing them in the bacon fat, and roasting them in the oven (like above) and then mixing the bacon in with them. Delicious. 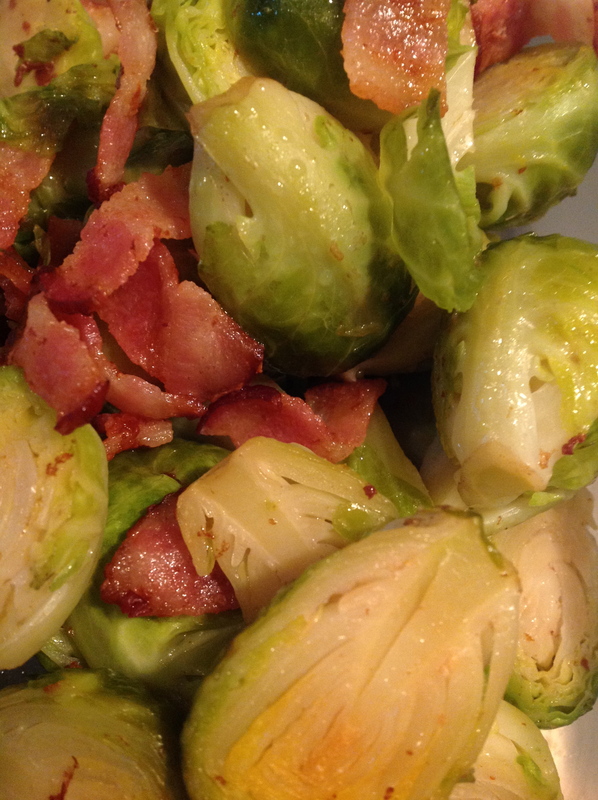 This entry was posted in lchf, LCHF recipes, side dishes and tagged brussel sprouts with bacon, lchf vegetable, roasted brussel sprouts by angelb38. Bookmark the permalink.